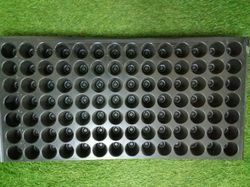 Our product range includes a wide range of 50 cell seedling trays, 98 cell seedling tray and agriculture seedling tray. Our company has achieved widespread recognition in offering 50 Cell Seedling Trays to the clients. With firm commitment to quality, we are offering a comprehensive array of a high-quality seedling tray. Designed & developed by our professionals using high-quality polymer, these seedling trays are available with us in different designs, colors, and other specifications. By using a germination tray, the young seedlings can be grown to an age that they can be transplanted into the garden bed with much greater ease and a better chance of success. 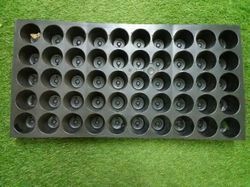 We are a preeminent organization that is engaged in providing our clients with an array of Agriculture Seedling Tray.